Egypt is probably on the bucket list of many travelers, and besides the pyramids and Red Sea, the food is another reason you should visit this country. All the ancient history makes Egypt’s cuisine what it is today, with each civilization leaving a mark on the preparation of dishes. Like in most Middle Eastern countries, a big part of the Egyptian culture is gathering and celebrating with family and friends – around delicious food, of course! 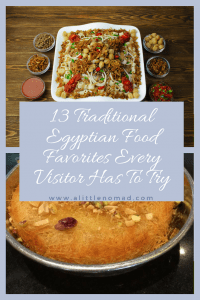 Here are some top traditional Egyptian foods that every visitor should try at least once when coming to this beautiful country, from breakfast to dessert. Ful is the most common traditional breakfast, t’s a stable in every Egyptians’ diet. Ful, pronounced as fool, is made of fava beans cooked with oil and salt. Fava beans (broad beans) are encased in long fat green pods. They require soaking overnight and cooking for hours over low heat in an idra in order to remove the beans casing. Traditionally this is how they are cooked and served by street carts. Since the fava beans require long preparation, a pre-made version in cans is being sold in local markets and grocery stores. The beans can then be prepared on the stove or even in the microwave. Ful is commonly eaten as a dish with eggs, cheese, pita bread and/or also popular food like ta’meya. It can also just be an easy, quick breakfast made into a sandwich. The beans are packed with essential nutrients such as carbohydrates and iron and they’re low in saturated fats. 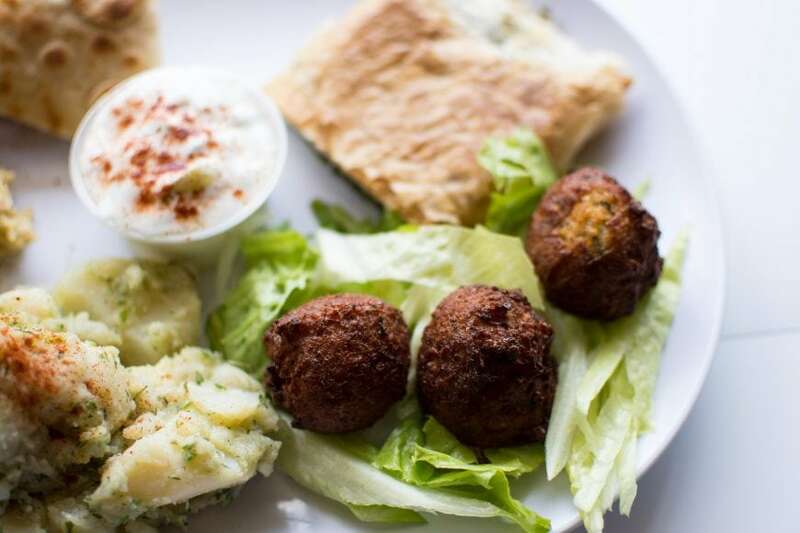 Falafel are traditionally served in Egyptian breakfast along with ful, eggs, cheese and pita bread. Traditional falafel are made with chickpeas, but Egyptians ta’meya is made of fava beans. Fava beans should be soaked overnight to soften, then crushed in a food processor. They are then mixed with a fresh combination of chopped cilantro, parsley, white onion, garlic and leek, giving ta’meya its vibrant green color. Spices such as cumin, coriander, paprika, cayenne, salt and pepper are added along with chickpea flour. Rolled into balls, and fried! It’s not a surprise why Ta’meya is so popular; it’s packed with loads of unique, fresh flavor. Koshary or koshari is one of the most traditional street foods. 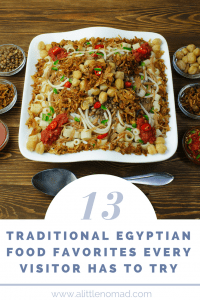 It is popularly found on the streets of Egypt served from carts and restaurants and it’s a cheap and filling meal – a total carb bomb! A layering of rice, macaroni, lentils, and chickpeas topped off with caramelized onions, thick red sauce, and a garlic/chili/vinegar/ sauce. It is indeed an interesting mix, but surprisingly delicious! Mahshi is a favorite hit amongst Egyptians and great for vegetarian travelers. Mahshi is basically vegetables of choice stuffed with a rice filling, such as zucchini, eggplants, bell peppers, tomatoes, cabbage leaves, or grapevine leaves (similar to Greek dolma). The filling consists of rice, herbs (parsley, cilantro, and dill), tomato sauce with seasoning and a touch of cinnamon. Some people like to add minced meat to the filling for a generous meal. Mahshi is definitely a dish you have to try when in Egypt. You will fall in love, it’s one of my favorites! Shawarma is such a popular street food that you’ve probably tried it before. Originally it comes from the famous Greek gyros, but of course, the Egyptians put their twist on it. 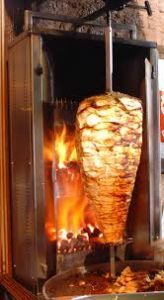 Shawarma is made up of a choice of either chicken or beef marinated with middle eastern spices and cooks all day on the spit with a fat melting on top. The meat is shaved off and put into a wrap where it’s wrapped to perfection. Typically, it is served with tahini and the chicken served with tomaya (garlic sauce). It’s a quick meal but a healthier alternative to fast food and it won’t put a dent in your pocket. 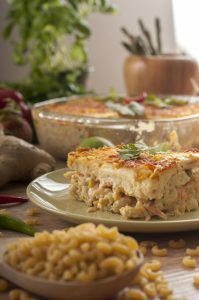 Macaroni Béchamel is a classic Egyptian comfort food that will leave you satisfied for a while! Basically, it’s Egypt’s version of lasagna or macaroni and cheese. Made with rigatoni noodles, minced meat cooked in chopped onion and tomato paste, topped with the classic béchamel sauce. It’s hard to not go for seconds! Molokhia is a very traditional dish, and you either hate it or love it (unfortunately, although I’m vegetarian, I belong to the first group). It’s a stew made up of a leafy green, cut into tiny pieces and prepared in chicken, beef or seafood broth mixed with ground coriander and fried garlic. Generally served with rice, bread, and choice of chicken, beef or seafood. The way this dish is made depends on the region in Egypt. Cities along the coast like Alexandria might eat molokhia with shrimp or fish. Molokhia is named after the leafy green that the stew consists of, also known as jute mallow (corchorus olitorius). It’s packed with essential vitamins such as iron and potassium, Vitamin C, & Vitamin B6. 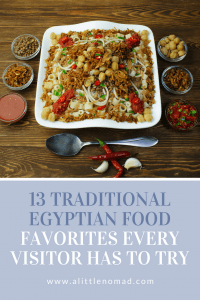 Egyptian fattah goes all the way back to ancient Egypt where it was served in big feasts, celebrations such as weddings and the birth of a new baby. Still today fattah is a main dish in the first day of the Islamic feast (Eid-al-adha). It is a combination of crispy bread, rice, meat and vinegar/tomato sauce. For special occasions, the meat used is lamb but on any other ordinary day beef is used. It’s also commonly seen eaten the Lebanese way with rotisserie chicken and tomaya. Although it’s a simple dish it is satisfying and you won’t be disappointed. Feseekh is a hit or miss with even the Egyptian people! It is fermented mullet fish, prepared by letting the fish dry in the sun and then soaked in salty water for up to a month. 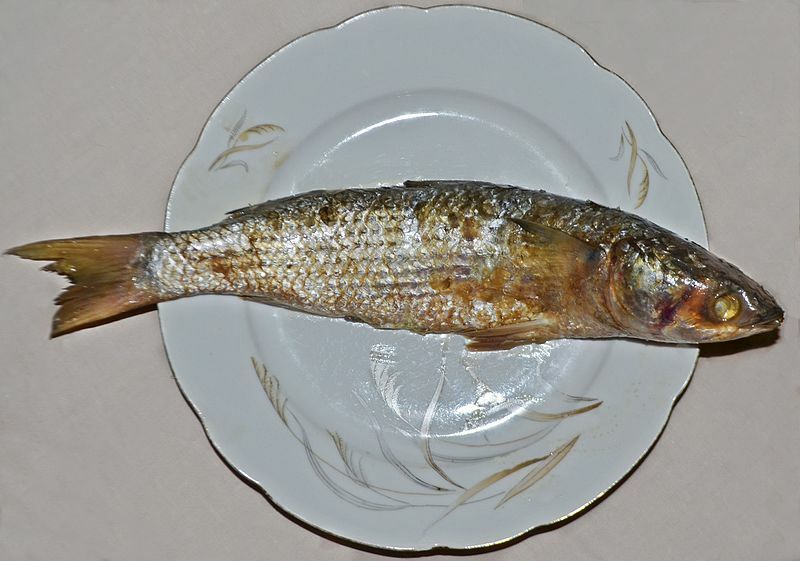 It is famously eaten in the Spring celebration known as Sham El Nessim. Feseekh is the main dish eaten and served with fresh cut salad and pita bread. If you are brave enough to try it, maybe you will like it. One thing is known for sure – this dish will take you back to the history of Egypt. 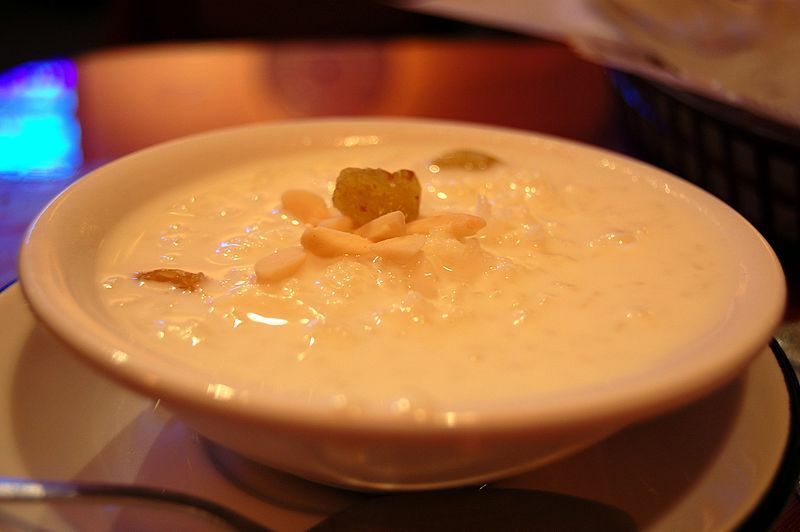 Roz Bel Laban translates to rice with milk – it’s Egypt’s version of rice pudding. If you’re a fan of rice pudding, you will love this. Rice cooked in milk, sometimes cream (ishta), with sugar typically topped with pistachio pieces. A simple and satisfying dessert that everyone loves! Umm Ali (Om Ali), is translated to Ali’s Mother. A dish that goes back to the 13th century, legend has it that Sultan Ezz El Din Aybak’s wife made it for a victory celebration where it was made and shared amongst people of the land. Since then it became famously known after her. A hearty dessert combined with sweet flavors of bread (puff pastry), milk and sugar –Egypt’s version of bread pudding. It’s commonly topped with a mix of raisins, nuts, and coconut pieces. And served while hot. It is no surprise why it’s a hit, it is delicious! The queen of Egyptian sweets, made of shredded konafa pieces, filled with cream or cheese, baked and eaten with syrup. 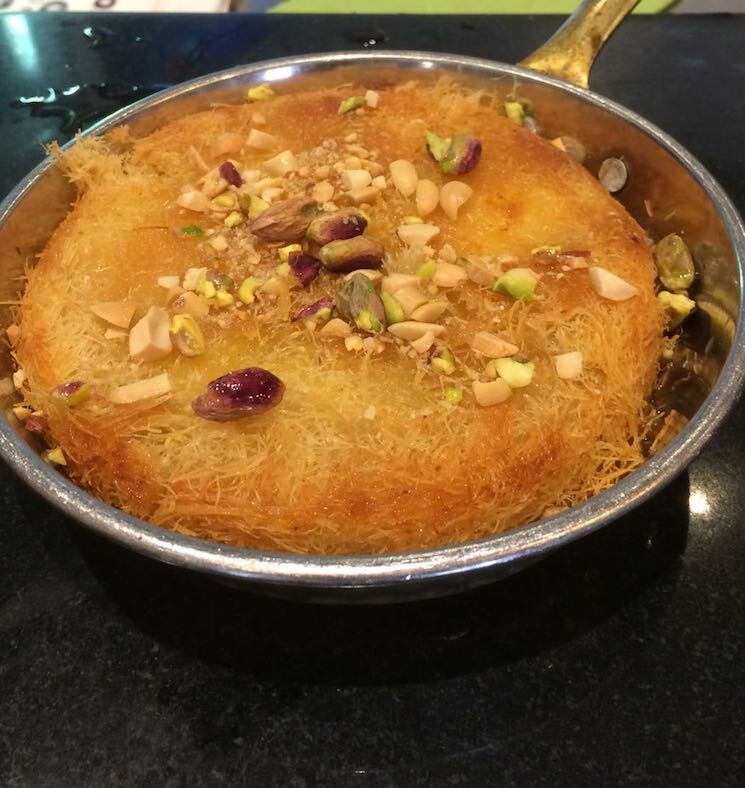 You will find konafa eaten during gatherings while celebrating the holy month of Ramadan. There are many variations of konafa that are all equally satisfying. 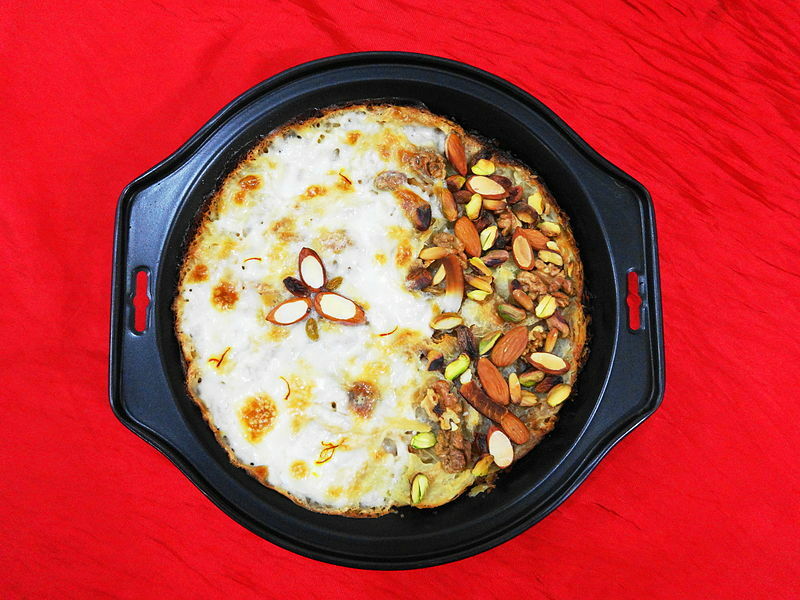 It is also very common to find Syrian konafa on the streets of Egypt and it is to die for! Konafa will definitely satisfy your sweet tooth and win your heart in the streets of Egypt. 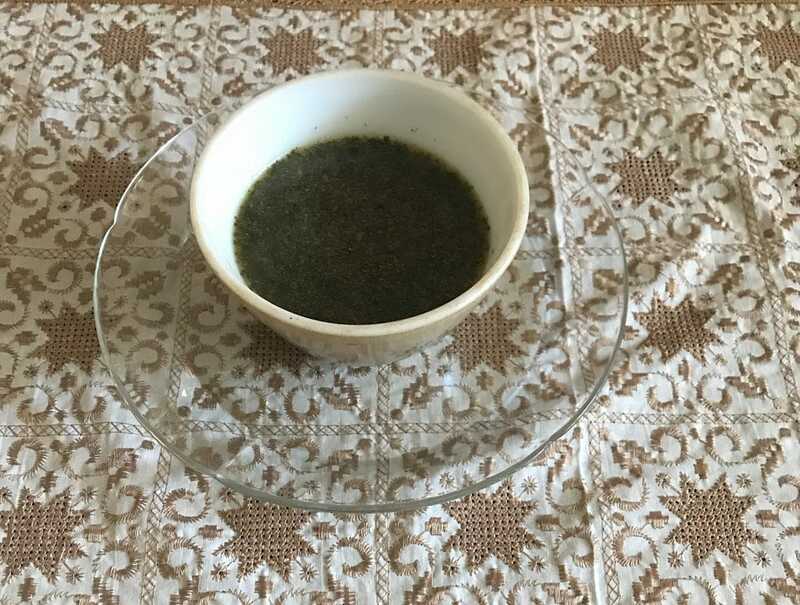 Egypt’s sweet warm drink and my personal favorite – A luscious treat that’ll warm you right up! Its base is hot milk mixed with pure orchid root powder which is what gives it it’s flavourful taste and thickness. Sahlab can be conveniently made with instant sachets that already contain this powder and other ingredients like vanilla, sugar, and cinnamon. You can have some fun with it and add the toppings that you like, me personally I love it with banana and strawberries. 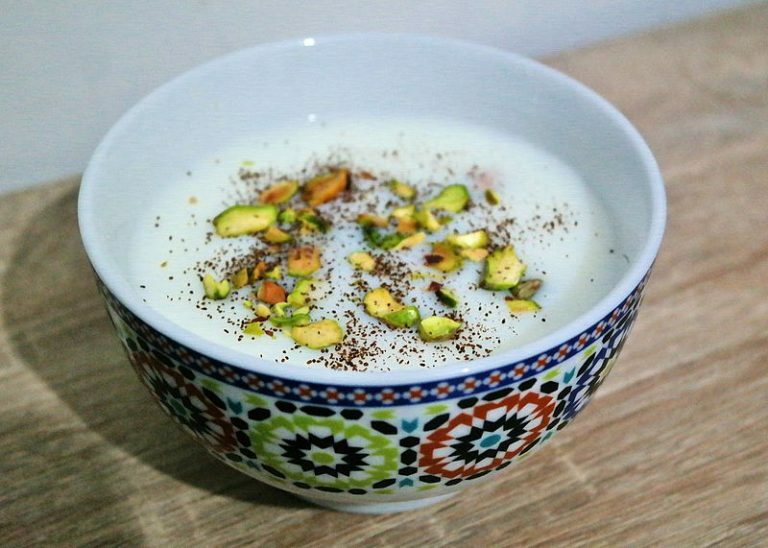 Traditionally, Sahlab is topped with a pinch of cinnamon, shredded coconut, crushed pistachio and maybe even some raisins. If you’re visiting Egypt, make sure you check out my articles about the pyramids and 77 Free Things To Do In Dahab. Another article I really liked was Mei Mei Chu’s 23 CURIOUS THINGS TO NOTICE WHEN TRAVELLING IN EGYPT – I’m sure you’ll see some of these things as well! I guess I’ve been living in Egypt for too long to still notice most of these things, haha.